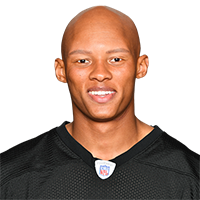 Published: Aug. 30, 2018 at 08:22 p.m.
Pittsburgh Steelers quarterback Josh Dobbs connects with wide receiver Tevin Jones for a 27-yard touchdown. Published: Aug. 30, 2018 at 07:55 p.m. Check out Pittsburgh Steelers quarterback Josh Dobbs as he leaps over three players for the first touchdown of the game. Published: Aug. 16, 2018 at 11:50 p.m. Published: Aug. 16, 2018 at 11:11 p.m.